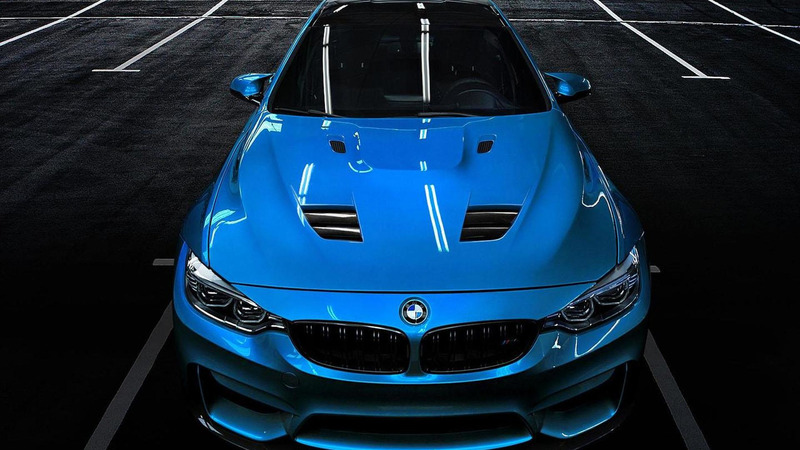 Duke Dynamics has released the pictures of their upcoming styling package for the BMW M4. Created by Marius Dumitrascu, the MD4 package includes a new front bumper with a three-piece carbon fiber front lip spoiler. The model has also been equipped with a vented hood, carbon fiber side skirts and extended wheel arches. The aggressive styling continues out back as there's a carbon fiber diffuser and a carbon fiber or fiberglass rear spoiler. There's no word on performance changes but the standard model has a 3.0-liter TwinPower Turbo six-cylinder engine that develops 431 HP (317 kW) and 406 lb-ft (550 Nm) of torque. This enables the coupe to accelerate from 0-100 km/h in as little as 4.1 seconds before hitting a limited top speed of up to 280 km/h (174 mph) with the M Driver's Package. The body kit is slated to be unveiled at Bimmerfest 2014 and sales should begin by July.